We know what day it is, but this salad ain't no joke. You already know we're way too earnest to do anything to you for April Fool's Day, y'all. The rest of the internet seems to have that pretty much covered. So this is our version of a salad that is available in some form or another in almost any Japanese restaurant in America. How is this one different? 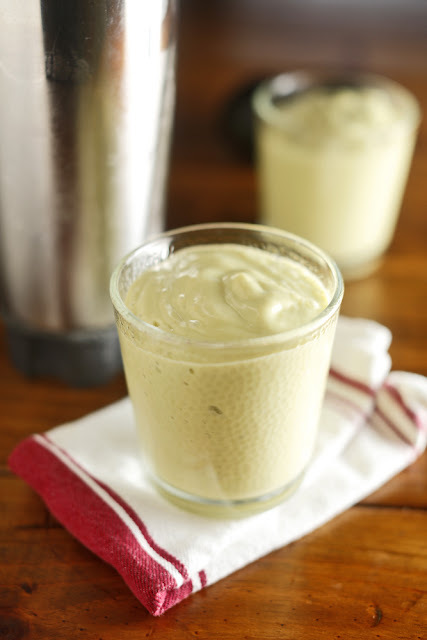 Our Fresh Ginger Dressing is smooth and flavorful, and it's a perfect complement to the smoky grilled romaine lettuce. 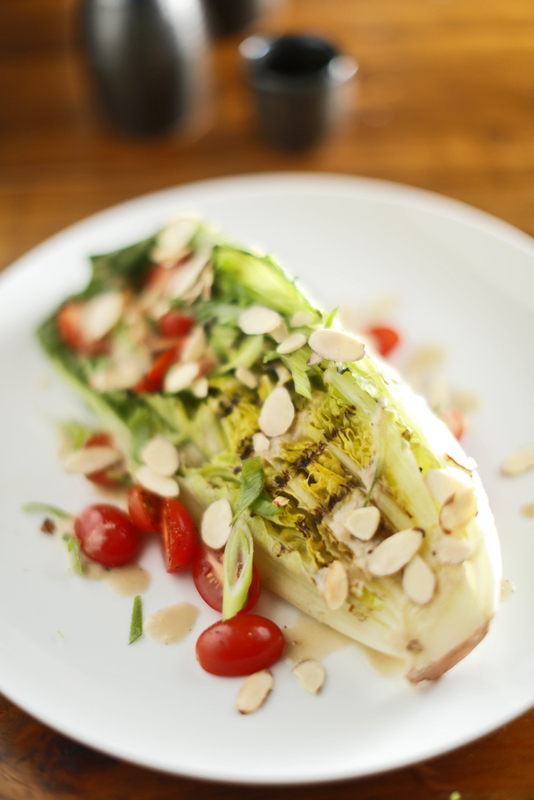 That's right, grilled lettuce! It's super good. So, while this ginger dressing is perfect on this particular salad, it's also great on spring rolls or tossed in with some stir-fried vegetables or drizzled over some rice noodles. It's an all-purpose food enhancer. *The immersion blender is the perfect tool for making dressings and sauces -- it always emulsifies the dressing perfectly. 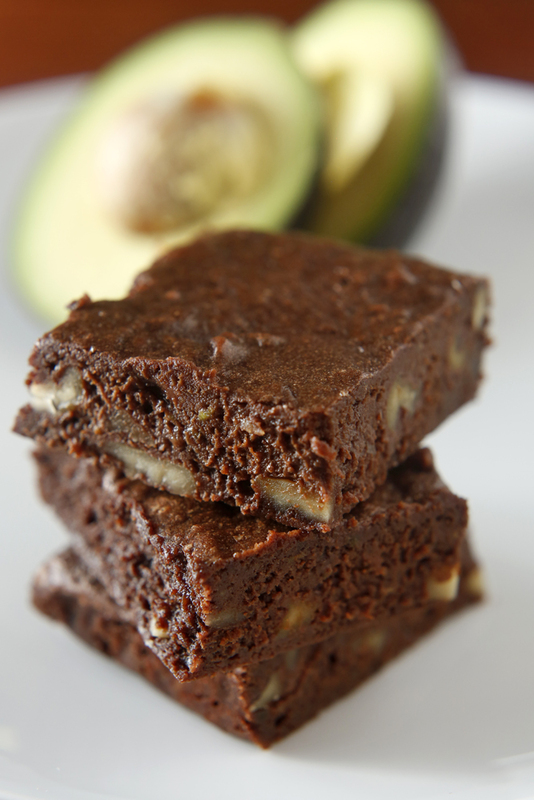 No-butter, no-oil brownies? Seriously? With avocado instead of butter...okay, wow. This secret brownie ingredient seems to be developing into quite a thing online these days between the vegans and the paleos and the general health-conscious, I-want-to-eat-brownies-but-I-know-I-really-shouldn't folks. 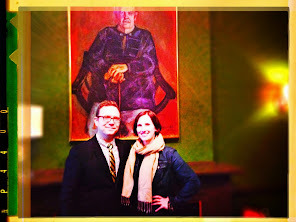 It all started with a silly T.V. commercial for a dinner special at Chili's. We were mesmerized by a close-up of a bright, perfectly chopped avocado-and-mango salsa being tumbled in such a carefree way across a blank-canvas protein. And that was it. We were done for. We just had to combine those two flavors some way, somehow. Kind of a stretch, but here it is. One of us swore up and down that this creation was a smoothie while the other, eating it with a spoon, said that it was definitely more of a pudding. While there was some disagreement as to what this concoction actually is, we both agreed that it was delicious whether you drink it from a cup or eat it with a spoon. 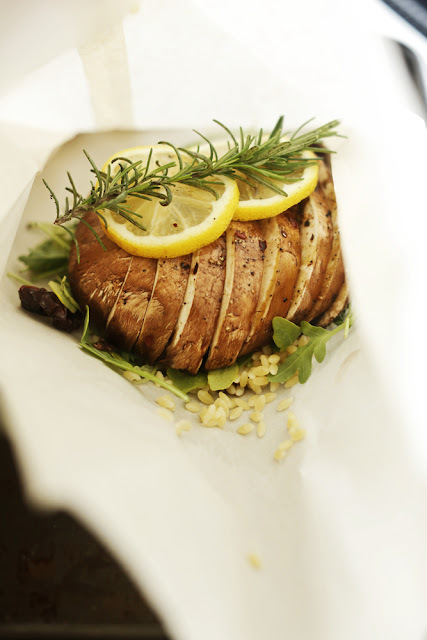 We happened upon these pre-folded parchment bags at the grocery store a few months back and decided that it would be fun to make a dinner en papillote, or 'in paper.' They sat unused for a while until we resolved this week to begin focusing on a wider variety of healthy dishes at home. Although we love to cook, we too get stuck in the rut of yummy carb-and-bread comfort foods like mac n' cheese, pizza, and grilled cheese. It is dawning on us that these types of things are really not supposed to be enjoyed every meal of every day! So these little packets offered us a delicious new adventure and experiment. This method of cooking is a fairly healthy one because it takes no fat to steam food, which is essentially what we're doing here. We have added a little olive oil to this recipe for flavor, but you could leave it out if you like. What happens in the bag is that the flavor inherent in each component melds with each of the other components to create a big and balanced result. One of the secrets is only cooking the pasta halfway. That gives it the ability to absorb the liquid from the mushrooms and the greens. Sure, there was skepticism, but once our nostrils were inundated with the aroma of that delicious steam, we were both sold. This is something we'll make again for sure. 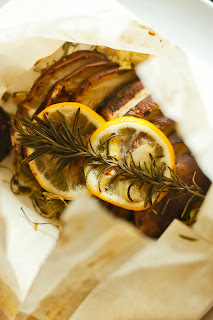 4 parchment paper bags or 4 large sheets of parchment to fold your own bag. Cook pasta in boiling, salted water for only half of the recommended cooking time. Drain and set aside to cool. Preheat the oven to 350 degrees. Slice each mushroom, but keep the slices in order so the original shape of the mushroom cap remains unchanged. Place the 4 mushroom caps on a plate and drizzle each with the olive oil and balsamic vinegar. Add salt, black pepper, and crashed red pepper to taste. One time, our friend Angie from Angie's Big Love of Food was going to make our BBQ Eggplant Ravioli, and then she decided to simplify it. And thus, this dish was born. She fixed it with some spaghetti noodles, so it came together pretty quickly as a meal. 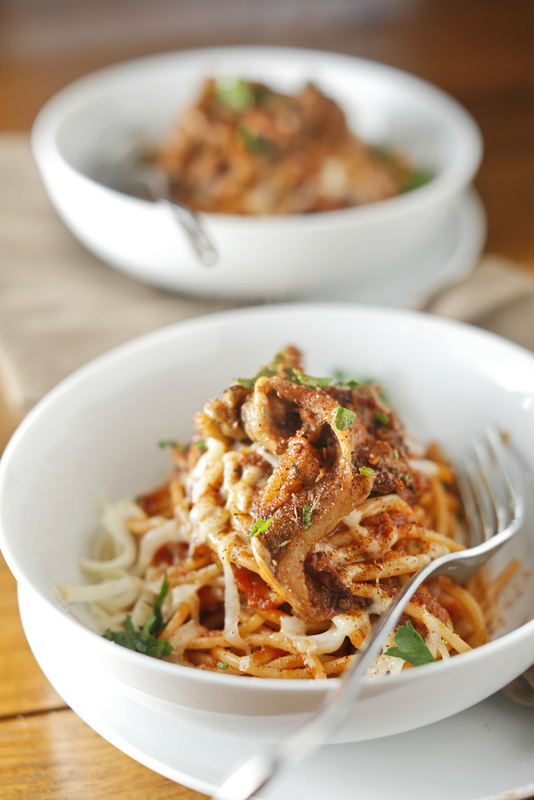 It got us thinking about BBQ spaghetti -- and we decided to do the very same thing for dinner this week! It's a classic dish served at the BBQ Shop on Madison Avenue here in Memphis; we want to let y'all in on the savory, spicy, and vegetarian fun with this take on it. 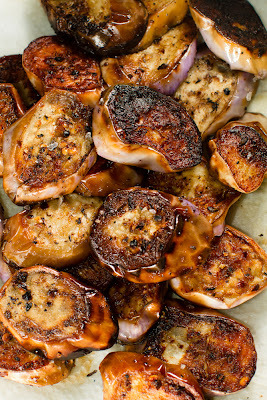 Drizzle the cut side of the eggplants with the canola and sesame oil and then sprinkle them liberally with the dry rub. 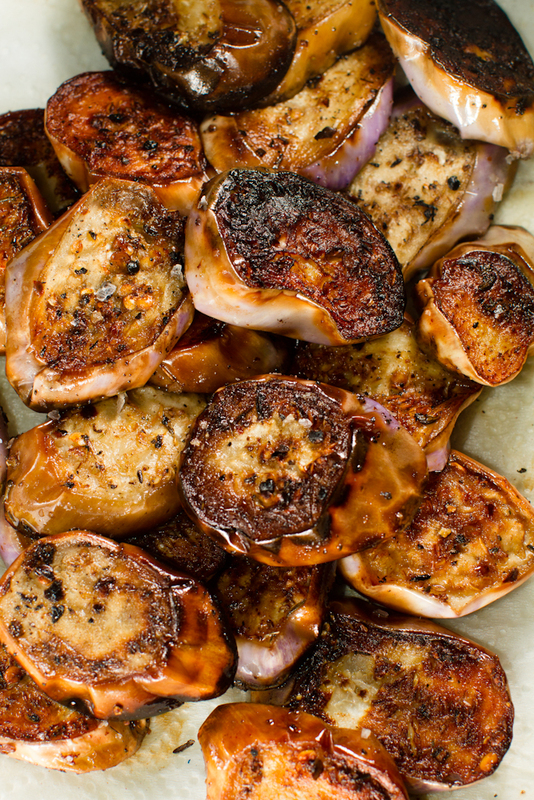 Place eggplants onto a parchment-lined baking sheet and into a cold 350 degree oven cut-side-up for 1 hour. Flip and bake another 25 minutes or until cooked through. Allow eggplants to cool. Using your hands, pull the eggplant meat from the skin. It will be kind of stringy and really have the look of slow-cooked BBQ. This makes about1 1/2 cups "pulled" eggplant BBQ (which is also great on a bun with some BBQ sauce and slaw). Place about 1 cup of the Chipotle BBQ sauce and 3/4 of the prepared eggplant into a large skillet over low heat. Cook spaghetti according to package directions and pull it directly from the water into the pan with the BBQ sauce. Mix until sauce is well incorporated. Serve immediately topped with a little more eggplant, a sprinkle of dry rub, cheese if you'd like, and chopped parsley. This has become a favorite summertime dish in our house, and we're really looking forward to those incredible Southern tomatoes to start rolling in. 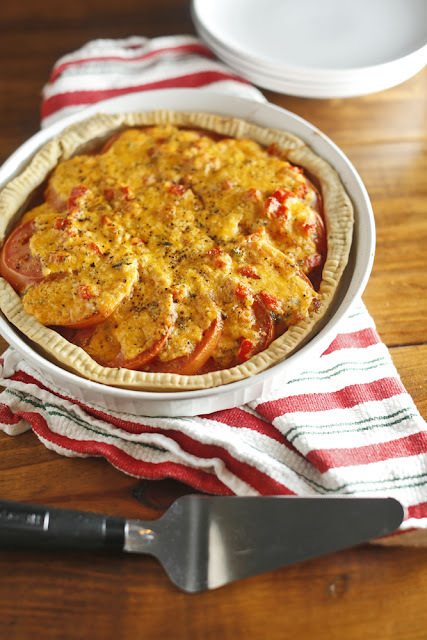 This pie uses our signature Lemon Zest and Thyme Pimento Cheese recipe to top a crust brimming with delicious (and surprising) tomatoes. It's tempting to pick the ripest, juiciest tomatoes for this recipe, but really, that's just not what you'll want here. We've discovered that just underripe, slightly hard-to-the-touch, meaty tomatoes, such as the Better Boy variety, are best. They hold up to cooking better and don't release as much water as a ripe tomato. 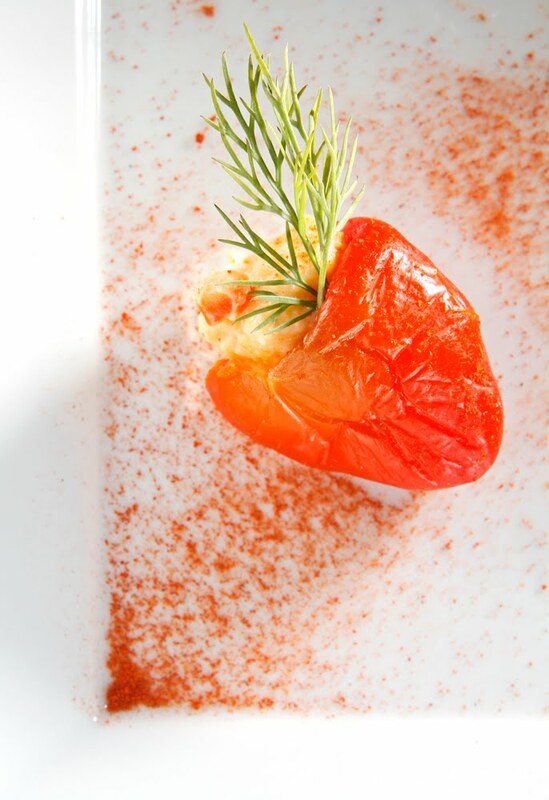 Once sliced, the tomatoes are briefly cured in a sugar-and-salt mixture to add flavor and draw out moisture. It sounds crazy for us to recommend using underripe tomatoes, but...you just have to trust us because it's pretty delicious! Preheat the oven to 350 degrees. Make the Basic Pie Dough and the Lemon Zest and Thyme Pimento Cheese according to the recipes. Set both aside in the fridge until needed. In a small bowl, mix the sugar and salt together. In a large colander, layer in the tomato slices and sprinkle every layer liberally with the sugar and salt mixture. Allow the tomato to sit for at least 20 minutes. The sugar and salt mixture will draw moisture out of the tomatoes. While the tomatoes are draining in the colander, roll the pie crust out to fit a 10-inch pie plate and finish the edge however you like. Dock the dough using a fork and blind bake it for 25 minutes. Pat tomato slices dry with a kitchen towel and arrange them into the crust. Top with Lemon Zest and Thyme Pimento Cheese and bake another 20 minutes. Add the all-purpose and whole wheat flour, shortening, and salt to the bowl of a food processor and start it. Slowly add cold water a teaspoon at at time until a ball forms. Stop the motor and pull the dough ball out. Place it in a covered bowl in the fridge for at least 20 minutes to rest. Spring is almost here, y'all. My planner has it scheduled for next week, Wednesday, March 20, but keeping tabs on what's bloomed first has been the thing to notice, a daily secret thrill ever since the end of February here in Memphis. It's sooo time for it: daffodils, crocuses, redbuds, dogwoods, tulip poplars, even the very first tulips that look so fake are here. With all of this going on, winter stuff (hearty food, apple desserts, wool socks, staying inside...) is starting to feel all wrong, and this might just be the dish to usher in springtime. It got that status around here, anyway! Remember cans of peas and carrots mixed? This is in homage to that craziness, but freshened up and ready for springtime with mint, Vidalia onions, the first peas, all the good stuff that will be with us in abundance as we head toward Easter. Make Mint Pesto according to the instructions. Set aside in the fridge until ready to assemble the dish. In a covered dish, microwave the carrots and water for 4 minutes. Allow mixture to rest for an additional 4 minutes. Place the cooked carrots and any water into the work bowl of your food processor, add the egg, add a pinch of salt and pepper, and process until smooth. Add the flour and pulse until everything is incorporated. (It's important to process the mixture as little as possible once the four is added so you don't end up with tough gnocchi.) 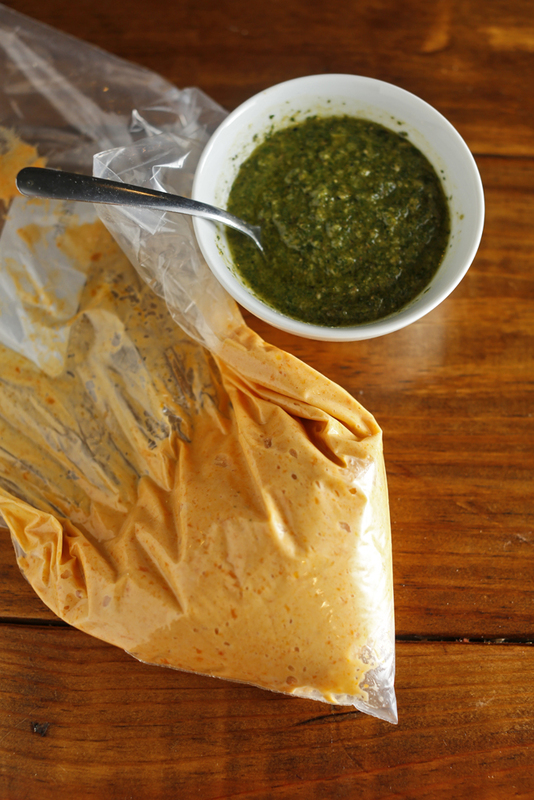 Transfer mixture to a one-gallon food storage bag and press it into one corner of the bag. Bring a large pot of salted water to a boil. In a large pan over medium heat, melt the butter and add the onions and peas. Cook, stirring occasionally, until the raw flavor is out of the onion and the peas are cooked through. Cut the corner out of the plastic bag and hold bag over the boiling water. Squeeze the bag from the back and force the mixture out of the hole. Using kitchen shears, snip the dough every 1/4 inch and allow it to fall into the water. Once all gnocchi have floated to the top, retrieve them using a spider and add them to the pea and onion mixture. Into the work bowl of your food processor, place the pine nuts, mint leaves, lemon zest, garlic, sugar, salt, and pepper. Turn the processor on and drizzle in the olive oil to form a paste. Set aside. We totally had one of those why-didn't-I think-of-that moments when a beautiful plate of spicy edamame arrived at our table last Tuesday night. 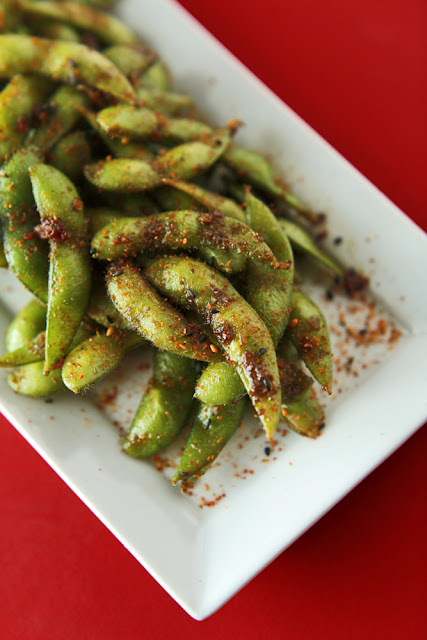 We were at Pacific Rim ordering our favorites, the House Mix Salad with Ginger Vinaigrette, the BB roll with tempura asparagus and cream cheese, and the Egg Omelette Sashimi when something from the specials page caught my eye: Spicy Edamame. Our friendly waitress gave us one of those it's-so-good-you-have-to-order-it-looks when we asked about the dish, so we ordered it. These are even better than the regular old sea-salted original. 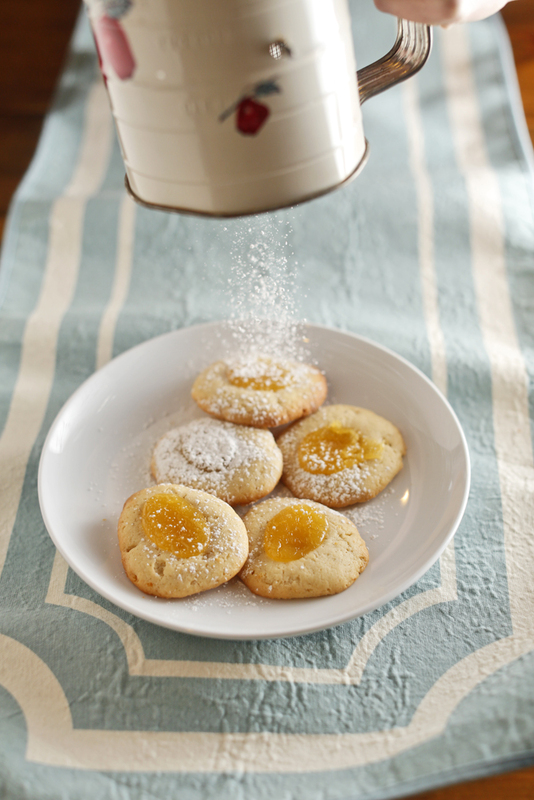 We had a race to the bottom of the bowl and vowed to try to make them at home so you can try them out, too. In a medium pan over medium heat, melt the butter and then add the edamame, garlic, and Sambal. Cook for 3 to 4 minutes or until warmed through. Add the soy sauce and toss until most of the liquid has evaporated. Transfer to a plate and sprinkle with Togarashi to taste. *Available at most Asian grocery stores for less than $3. I thought that everyone ate pimento cheese sandwiches growing up. I had no idea until recently that it's a Southern thing. The largest producer of pimentos is actually in Tennessee. I'll just add this to the growing list of reasons I love living in the South: heart, soul, and pimiento cheese. All of you who live down here know that you can't go into any restaurant, be it humble or fancy-pants, without seeing some version of pimento cheese on the menu. The crazy thing is you could order the pimento cheese from every establishment and get something a little different every time. Each kitchen has their own blend of cheeses and spices that makes it their signature pimento cheese. The truth is, though, it's one of those things you almost can't screw up because the ingredients are just too good. 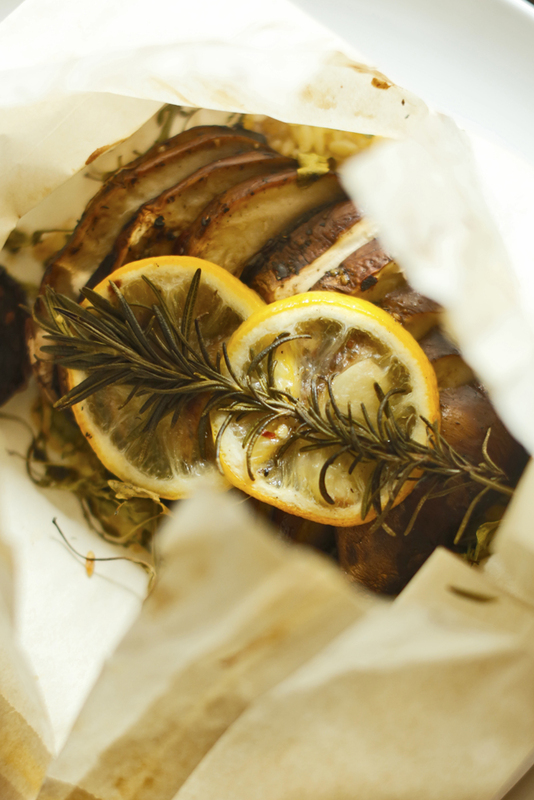 My version is spiced with plenty of fresh thyme, lemon zest, and shallots. I tend to use a combination of sharp cheddar cheese and soft goat cheese to give my pimento cheese a tangy, up-front flavor. Here I've stuffed the mixture into tiny marinated sweet peppers that I found on the olive bar at Whole Foods. This mixture also makes a wonderful sandwich, but these tiny stuffed peppers are the perfect thing to have with a glass of wine in the early evening hours just as the Southern sun dips below the horizon. Mix all ingredients until incorporated. It's as simple as that. To make stuffed peppers, roll about a teaspoon of the mixture into a ball and pop it into the cavity of the pepper. Garnish with sweet paprika and fresh baby dill. *Mince the shallot then place it into a mesh strainer. 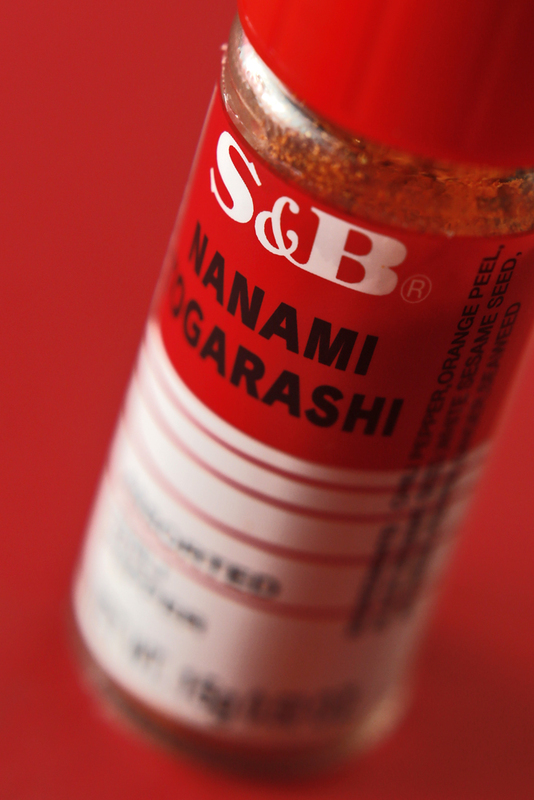 You will only need about a tablespoon. Run the minced shallot under cold water for a few seconds. This will take away any raw onion flavor and keep the shallot from overpowering the dish. 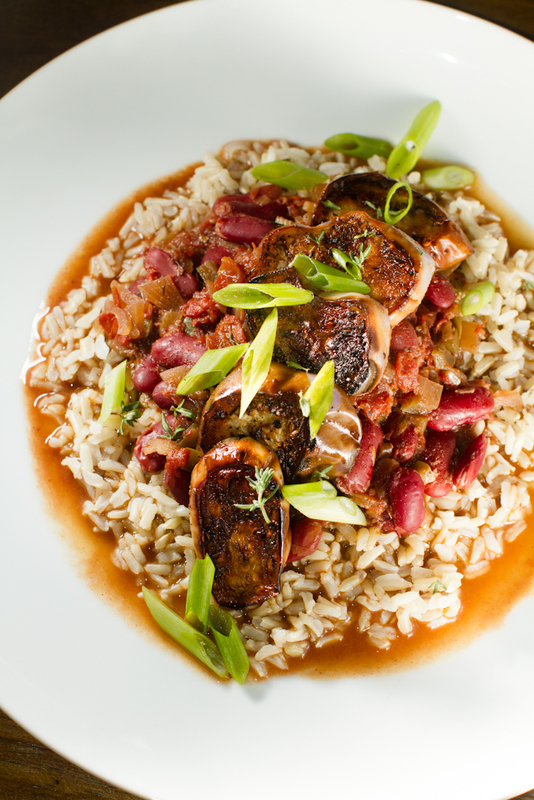 We've been making vegetarian red beans and rice for a long, long time, but this is the best version yet. The addition of the andouille-spiced eggplant (an idea that came to me while I was out on a run) and also the smoky sun-dried tomatoes...all I can say is I wish I would have thought of this long ago! If you're looking for a crowd pleaser, this is it. This is a great recipe for entertaining because everything can be done well ahead of time. 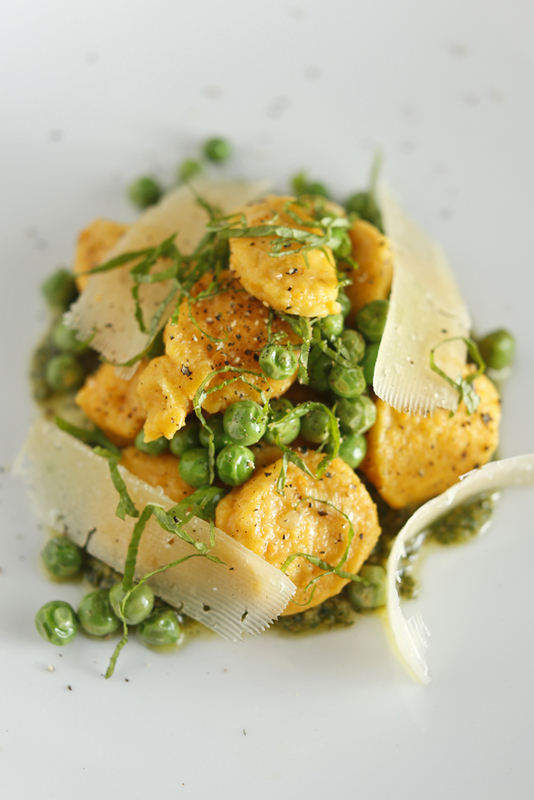 In fact, this is one of those dishes that is even better the next day. It's best served with some crunchy, buttered french bread, a healthy dash of Tabasco sauce, and a cold Abita Turbodog. Heat the butter and oil in a dutch oven over medium-high heat. Add the onion and sweat it all down until they are translucent and beginning to brown. Add the celery, green pepper, smoked sun-dried tomatoes, and fresh garlic; cook until all the vegetables have begun to soften. Stir in the dry spices, mustard, and miso. Add the soaked and drained beans, stock, vinegar, and bay leaves. Allow mixture to simmer over low heat for two hours or until beans are tender. Add water if the mixture is looking dry. To serve, spoon about a cup of rice onto the center of a dinner plate and add an equal about of the red bean mixture on top. Top that with 5-6 eggplant slices. Garnish with sliced green onion and plenty of Tabasco sauce. 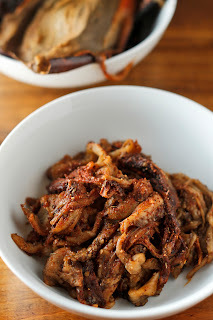 *Smoked sun-dried tomatoes can be found at specialty food stores such as Fresh Market. If they are unavailable in your area, simply use sun-dried tomatoes and 10 drops of liquid smoke. Toss eggplant slices with the spices and 1 1/2 tablespoons of canola oil. Heat a large frying pan over high heat. Add the remaining canola. Once the oil begins to smoke, add the eggplant so that the cut side of each eggplant slice makes contact with the pan. Working quickly, you then turn each slice over once it is deeply browned, about 45 seconds, and cook the other side in the same way. This may be done in batches -- just add a little canola if the pan looks dry. Set cooked eggplant aside on a paper towel to drain. The king oyster mushroom "scallop" may be The Chubby Vegetarian's most famous dish. 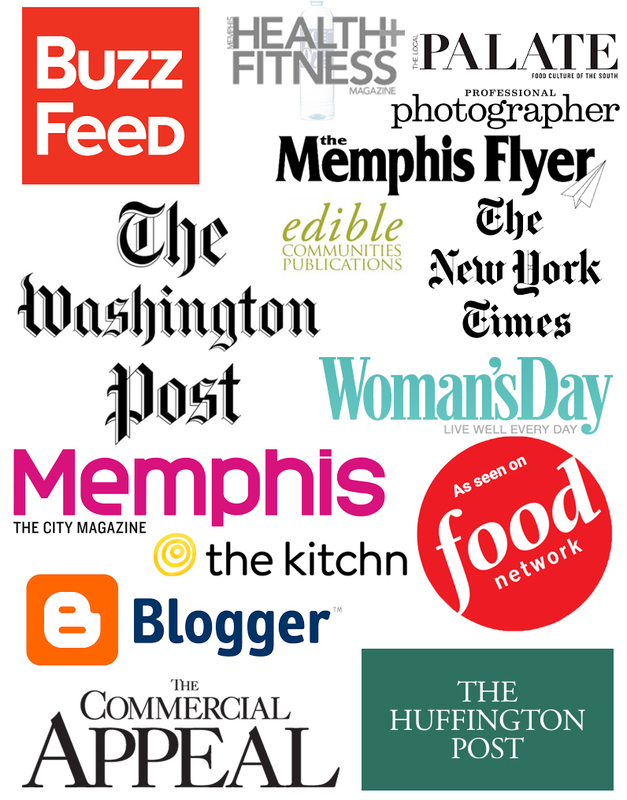 It has been served in not one, but two of Memphis' finest restaurants. Andrew Michael Italian Kitchen served it at their annual all-vegetarian "No-Menu" Monday, a dinner where what you eat is up to the whim of the chefs. It's always wonderful and tasty. They called my dish TCV Scallop. I was so, so flattered. The faux scallop has also been spotted at Wally Joe's Acre Restaurant in East Memphis as a garnish on one of their beautifully plated entrees. 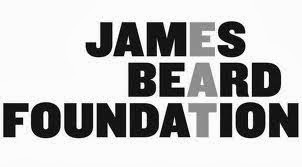 I borrow enough from the excellent ideas of all these guys, so I am happy to have something to give back. This is my new way to do it. I took the classic flavor New Orleans-style dirty rice and made it into fried rice for the base of this dish. This part alone is great for a light meal or lunch, but adding the wonderfully meaty king oyster mushroom scallops and the rich Creole Coconut Sauce on top make this dish truly special and really unique. King oyster mushrooms are really easy to find nowadays. Whole Foods always carries them -- along with a variety of other cool mushrooms -- in the produce department. If you are feeling adventuresome, head out to the nearest Asian grocery. They will have huge king oyster mushrooms. First, prepare Dirty Fried Rice according to the recipe below. Next, cut king oyster mushrooms into 3/4 inch rounds to resemble sea scallops. You should end up with about 15 slices (more if your mushrooms were smaller). Place slices into a medium dish or a bowl and cover with the coconut milk. The richness of the coconut milk is essential to the flavor and texture of this dish. Allow mushroom slices to marinade in the coconut milk for at least 20 minutes and up to an hour. Fish the mushrooms out and lay them onto a clean dish towel. Reserve one cup of the coconut milk to be used in the sauce. Dry both sides of the mushroom and sprinkle generously with Old Bay seasoning. Heat a 10-inch frying pan over medium-high heat. Add the butter and oil. Once the butter has melted, cook the mushrooms in two batches. Sear each side for 3-4 minutes or until nicely browned. Drain mushrooms on a paper towel and sprinkle with salt and pepper to taste. Pour off excess fat from the pan and into an old coffee can or milk carton. Do not scrape out the bits of brown (fond) that are stuck to the bottom of the pan. Immediately add the reserved cup of coconut milk, mustard, and garlic. Stir with a whisk over medium heat until heated through. 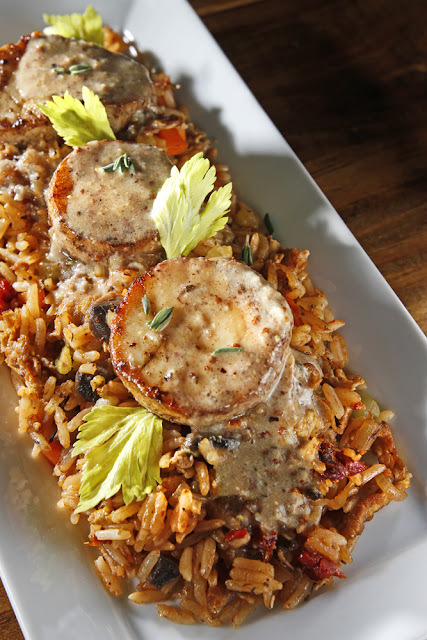 To assemble the dish, place 1 1/2 cups Dirty Fried Rice on a plate and top with three mushroom scallops and a tablespoon of the creole coconut sauce. Garnish with celery leaves and fresh thyme. Bring the broth and tomato paste up to a boil in a large soup pot. Add the rice, cover the pot, reduce the heat to low. Allow it to cook for 20 minutes. Remove the lid and allow rice to cool completely; this will take another 20 minutes -- if you try to make fried rice with warm rice, you will end up with a gummy mess! In a large mixing bowl, toss together the celery, carrot, shallot, sun-dried tomato, mushrooms, garlic powder, thyme, crushed red pepper, sage, clove, and liquid smoke. If you have a wok, now is the time to use it. Place the wok (or your largest frying pan) over high heat. Allow the wok to get hot without anything in it. This should talk 3 minutes or so. Add the canola oil. Once it starts to smoke, gently pour the beaten egg into the hot oil; this is cool to watch. Once it it almost dry (this only take a few seconds), add the vegetable mixture and toss it around the pan like crazy using a large serving spoon. Use the spoon to break the egg up as you stir. Allow vegetables to cook for two to three minutes or until they start to take on some color and then add the rice. Mix it all up and add the soy sauce. Cook another two to three minutes or until everything is heated through. Remove from heat and cover with a large lid to keep rice warm while you cook the other components of the dish. We think this recipe makeover results in a muffin that's even better than the original, which is something we pretty much make every week once we have a few overripe bananas waiting in the fridge. Almond butter finds a proper home here, and it's a good place for a tricky ingredient that's kind of earthy, kind of thick, kind of overly savory on its own. Add it to banana muffins, though, and something great happens. 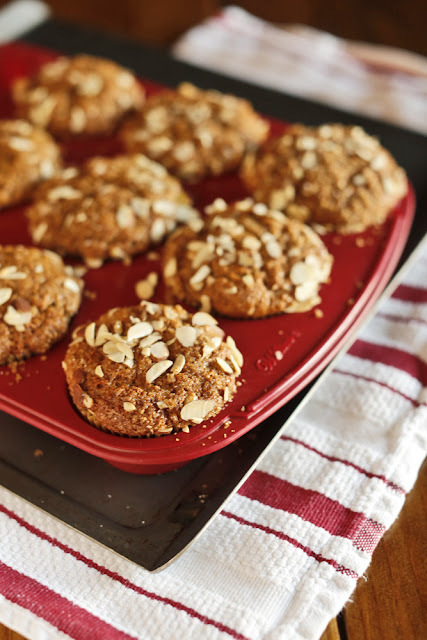 Almonds are very powerful, so why not sneak some of their magic into breakfast this week?